Please submit all applications online between February 1 and April 15th at 4pm. A completed VPI application – online at link! Bring the following documents to the APS Welcome Center after your application is complete by calling 703-228-7663 to make an appointment. five days of expiration or the student shall be withdrawn from APS. > Proof of the child’s age and legal name –a birth certificate. If the parent/guardian cannot provide a birth certificate, an Affidavit must be completed. APS has the right to forward a copy of the Affidavit to its law enforcement agency. 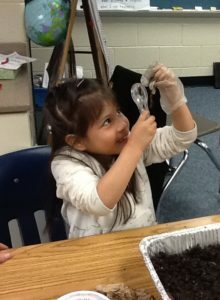 The Virginia Preschool Initiative is a high quality Pre-K program for four-year-old children at Arlington Public Schools and is free to all eligible students. Children engage in enriching educational experiences, explore learning materials and new ideas, and build their skills as they prepare to enter kindergarten. The Pre-K curriculum is research-based, fosters the development of literacy and math skills, and builds social-emotional foundations for lifetime learning. Each class has up to 18 children with a certified teacher and full-time instructional assistant. The program follows the elementary school schedule Monday through Friday. The child must live in Arlington County. The child has to be 4 years old on or before September 30th. For families/households with more than 8 persons, add $4,420 for each additional person. Annual household income is determined by completing the Office of Early Childhood Income Verification form. The child needs to be toilet trained at the time of entry into the program. Applications received during this time period are placed together in one pool of applicants and are then divided according to the percentage of federal poverty noted on the application. Placements are made with preference to the lowest income levels. Applications received after April 15th are placed on the waitlist according to the percentage of federal poverty. All applications must be submitted online and additional documents must be received and verified in order to be considered complete. Students can apply to more than one school based on their address. A student’s neighborhood school is determined by the student’s home address. Each neighborhood school is served by one or more schools that offer VPI Pre-Kindergarten classes. To determine the neighborhood school for a home address, use the “Boundary (Attendance Area) Locator” or call School & Community Relations at 703-228-7667. There are 35 VPI Pre-Kindergarten classes located at the following schools : Abingdon, Arlington Traditional School, Ashlawn, Barcroft, Barrett, Campbell, Carlin Springs, Claremont, Drew, Henry, Hoffman-Boston, Key, Long Branch, Oakridge, and Randolph. 1. How many students are in each class? VPI classes have a maximum of 18 students. Each class has a full time certified teacher and instructional assistant. 2. What schedule do the children follow? The VPI Pre-Kindergarten program follows the APS school year calendar. The hours are the same as the elementary school day for each specific site. VPI Pre-Kindergarten students begin on the second day of the school year. 3. What is the curriculum in the VPI Pre-Kindergarten program? The VPI Pre-Kindergarten program curriculum is based on Virginia’s Foundation Blocks for Early Learning: Comprehensive Standards for Four-Year-Olds. The standards cover Literacy, Mathematics, Science, History and Social Science, Physical and Motor Development, and Personal and Social Development. They are available on the Virginia Department of Education’s website. 4. Why is there a home visit? The purpose of the home visit is to help the child make a smooth transition from home to school and to create a positive connection between the teacher and the child’s family. A home visit is a special time that families can share about their child and their family. Teachers will also share valuable information during the home visit that will help a family prepare their child to be successful in school. Home visits are an opportunity to build relationships between home and school. When there is a positive and open relationship, children succeed! 5. Will my child attend specials offered at the school? Yes, VPI Pre-Kindergarten children participate in art, music, physical education and library. VPI Pre-Kindergarten children also participate in other school wide activities and special offerings as appropriate. 6. Will my child be able to take a nap? Yes, VPI Pre-Kindergarten children have a rest time in the afternoon. 7. What does it mean to be “toilet trained”? Acceptance into the VPI Pre-Kindergarten program is for children who are toilet trained. The Office of Early Childhood understands that being toilet trained is a developmental skill that children reach at different ages and informs parents to select this preschool option only if their child is toilet trained. The VPI Pre-Kindergarten program does not provide the staffing or have the facilities to provide toilet training for children. A toilet trained child wears underwear during the day at school and at home, uses the bathroom independently, indicates the need to use the bathroom, and is able to remove most clothes as necessary with little adult assistance. A child is not yet considered toilet trained for APS preschool programs if the child continues to have toileting accidents after the first month of school; has 8 or more toileting accidents in the first month, or has a toileting accident three or more times a week during a three week period of a time. 8. How many schools offer VPI Pre-Kindergarten classes? The VPI Pre-Kindergarten program is open for all eligible children who live in Arlington regardless of whether your neighborhood school has a VPI Pre-Kindergarten class. VPI Pre-Kindergarten classes are located at the following schools: Abingdon, Arlington Traditional School, Ashlawn, Barcroft, Barrett, Campbell, Carlin Springs, Claremont, Drew, Henry, Hoffman-Boston, Key, Long Branch, Oakridge, and Randolph. There are 35 VPI Pre-Kindergarten classes available in Arlington in School Year 2019-2020. Remember that students can apply to more than one school based on their home address. 10. Is transportation provided for VPI students? Transportation is provided for all VPI students—except for those who live within the walk zone of the school they are attending. 11. What are the tuition fees for VPI? The VPI Pre-Kindergarten program is free. 12. How do I learn about my child’s progress in VPI? Teacher parent conferences are held twice a year. You may request a conference with your child’s teacher at any time. Pre-K progress reports are written and distributed at conferences in March and sent home in June. Below are links to the blank Pre-K progress reports.